There was a time when I didn’t tell anyone I wrote. I thought I wasn’t a ‘real writer’ because I didn’t starve for my art. Not only did I have food, I also had shelter, clothing, money for fun, and stability to give myself the mental and actual peace in which to write. My work-life-write views led me to believe that having a job made me less of a writer. I had a good severance and was in no real danger of starving or being homeless, at least for a few months. During the two months between jobs I had plenty of time to write, yet penned not a word that didn’t go in my resume or cover letters. The financial uncertainty put my creative drive into hibernation. I learned I cannot create without a daily routine and the security of steady work. A job takes time away from writing, but to not have a job takes away my ability to write! It turns out having a JOB did not make me less of a writer, but more of one. 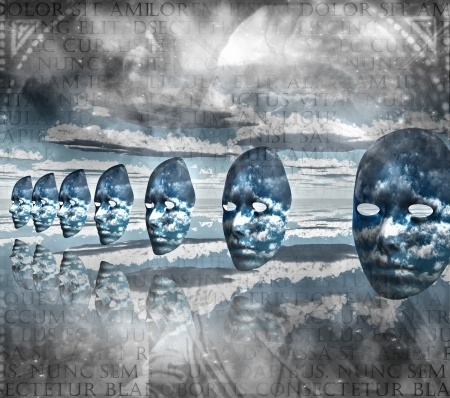 I am both worker and writer, and I am not less ‘real’ in either realm because of my participation in the other. Now I tell people I work with that I write and I tell other writers that I work. What does this have to do with my indie publishing cost analysis? Everything. I get by the same way you probably do: by going back into the office day after day, week after week, and year after year. I need money to pay for my mortgage, my car, my food, my pets, and for the materials to xeriscape the deadscape that is my front yard after this year’s drought. A financial venture of any sort requires cost analysis and budgeting, especially on what amounts to a fixed income. Originally, I thought I would use kickstarter to try for third party funding. I got my beautiful sister to star in both versions of my book trailer, which was intended to be the kickstarter video hook. * I even started writing up the information I would need to submit to see if I could get kickstarter approval. Then my husband did something amazing. He sold some things he no longer needed and went through our overbrimming spare change bowl and rolled all of that into usable amounts, saving even the percentage that would have been shaved off by going to CoinStar. He said he was going to use the money to buy himself something. Instead, he brought it to me and asked me to please use it to publish my book. I was touched by the purity of the giving and the honesty of his belief. My husband, best friend, and partner of thirteen years believes in me enough to be my backer, emotionally and financially. That’s a sort of security that even a steady job can’t bring; it’s better than money in the bank. Yet, it literally is money in the bank. It is a fact and a financial boundary. The starting capital is the final piece of information I needed in order to apply my cost analysis and determine an initial indie publishing route. My seed money is enough to get me into the POD + eBook cost path. I will also be able to afford some targeted online marketing, which is not included in the original cost analysis. This concludes my indie publishing cost analysis series. I hope that it has been informative. If you have experiences you would like to share or other perspectives on the endeavor, I’d like to hear from you. *Both trailers are still going to be released as part of my marketing campaign & you’ll see, she really is beautiful! STOLEN CLIMATES will be released in Kindle and Nook format as well as be available in 6×9 paperback via a POD provider – more details soon! In the first post of this series, I analyzed an indie publishing cost path that included expenditures for marketing, research, a paperback format, and an eBook format. 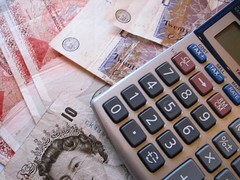 Today I will look at two additional cost paths. The first will calculate the cost of publishing both physical and electronic formats, but will significantly pare down expenditures that do not directly produce book deliverables. The second cost path will calculate the cost to publish only in electronic formats. All of the calculations will use the same assumptions given in Part I. This path focuses on the book itself. No money is spent on research materials. The marketing expenses have been cut until they, too, are almost non-existent. This is less than half of what was calculated for the ‘All In’ cost path. 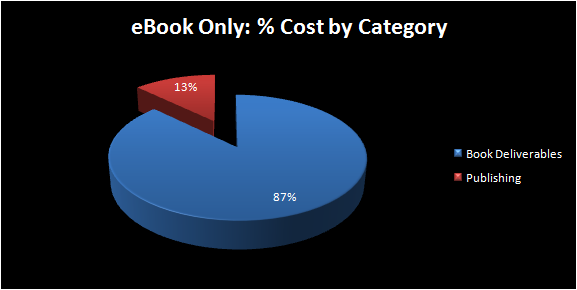 The percentage of money going towards book deliverables has shot from 48% to 77% of the total cost! For a grand and a half, the enterprising indie can bring a book to both the POD and ebook markets! 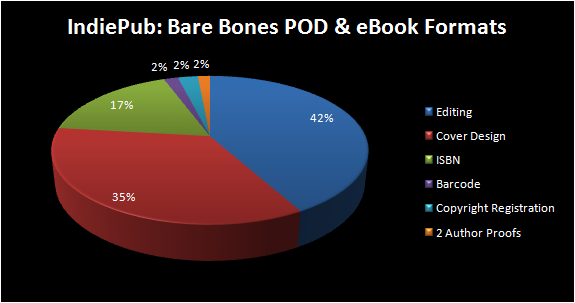 If the price of entry for a barebones POD + eBook is still too high, but the indie is determined to get their book out Now!, the next thing that can be cut is the POD. 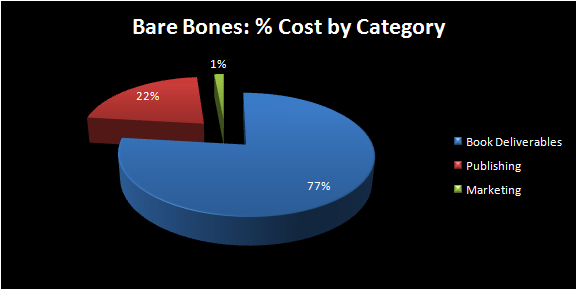 In this cost path, I examine the cost of producing only an eBook. All other expenses have been eliminated. The budget is cut to the bone! This path is almost three times less expensive than the ‘all in’ path, yet the total amount saved by not offering a POD is only $200. 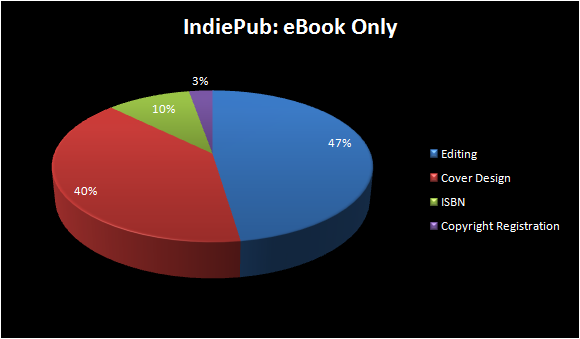 The percentage of money going directly towards book deliverables is 87% and indicates that financial barriers to enter the indie publishing market need not be prohibitive. This analysis all begs the question: What types of works sell best in which formats? How have I used budget analysis plus market trends to help me make publishing decisions? To find out, check back soon for the third post in this series! The Creative Penn has a post about the cost of indie publishing wherein she describes a sliding scale of possible expenditure by the indie author. At the low end, the enterprising and spendthrift indie can publish a book for about five bucks. At the high end, an enterprising and astoundingly wealthy indie can spend over thirty thousand to achieve basically the same thing. Note that I said basically, not exactly; the quality and distribution channels that come with a 30K price tag will surpass what you get for five dollars. However, really great stories remain great, even if they’re written on free napkins with a stolen pen. The problem there is that any work published that way is not only greatly limited in circulation, but limited in lifespan, too, because napkins have their ways of getting soggy or destroyed. While I don’t intend to release jewel-encrusted print editions, I want something a bit more accessible and lasting than a napkin: I want a paperback and various electronic formats. I’m more enterprising than I am astoundingly wealthy, so even my highest expenditures must be magnitudes lower than 30K. But how low can I go? How low should I go? What expenses can I cut, and still get what I want? What is the least I can spend to get a version of my book to market? To get a general illustration of how expenses might look, I did a quick workup of some various cost paths. Bear in mind that these numbers are all rough estimates, and I could be missing important costs or vastly underestimating actual expenses. They are designed to give a very nonspecific picture of how much or how little I, or any any indie, could expend given the assumptions listed below. 1. Print cost is based on a 300 page, 6×9 POD by CreateSpace. On cost paths where I purchase more than a couple of books, I upgrade to CreateSpace Pro to get the author copy discount; the CreateSpace Pro fee is included where applicable. On cost paths where I purchase very few books, I do not upgrade to CreateSpace Pro; the price difference for not getting the author copy discount is included in the price of the books. 3. The cover design is a set fee of $500 for development of a single high-impact image that will look good in color, in black and white, and at thumbnail size. 4. The editing and proofing are calculated at $30 – $35 an hour, with a cap at $600. When more than one version of a book format is being published, the ISBN price is for the discounted 10 pack. Otherwise, I buy only 1 ISBN. 6. Copyright registration is a one time fee. 7. The cost of a single barcode is included only when a physical edition of the book will be produced. The ‘all in’ path includes what I would have to pay for everything I can think of to help me market and publish my book. This is a realistic view that excludes expenses I have already decided are out of scope. A few out of scope expenditures include web hosting, custom site design, and release of a hardback book. I break out the expenses into four main categories: marketing, publishing, research and book deliverables. I consider ‘deliverables’ to include anything that directly impacts a reader’s experience of the book, such as the quality of editing or the cover design. 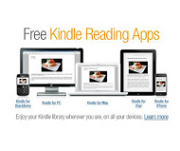 Marketing costs include a smartphone and associated dataplan for connectivity at all times; a digital camera for book trailers and blog posts; a Kindle for verifying formatting; and author copies for giveaways or promotions. ISBN, barcode, copyright registration and the CreateSpace Pro fee are publishing costs. Research materials include books on WordPress, MovieMaker, Kindle formatting, and the indie author guide. That leaves editing, proofing, and cover design as book deliverables . The total cost is well below 30K, which is a very good thing! What interests me is the final breakdown of percentages. The publishing costs and book deliverables account for 58 percent of the total pie, and that is for both the paperback and any e-formats. If my budget is tighter than what it takes to go ‘all in,’ what can I cut? What makes sense to cut? 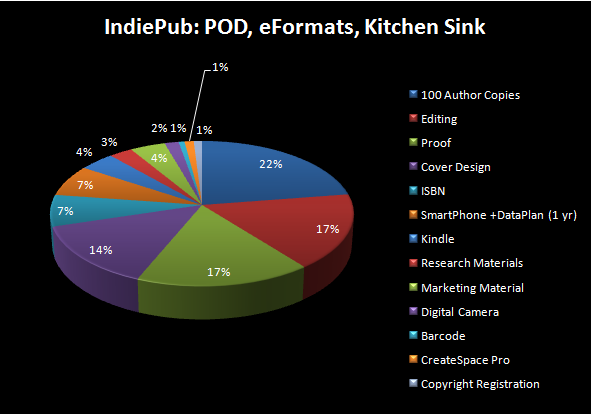 Want to see more indie publishing cost analysis? Then check back for the next post in this series! I’ll go over a more barebones cost path and an e-book only cost path!